Today's "Current Sports with Al Martin" goes beyond the surface and flips over the ugly underbelly of youth basketball. After recent MSU commit Gabe Brown was injured in a summer AAU game, Al takes the chance to lambaste the framework of AAU and its exploitation of young athletes. Although he stops short of blaming the nationwide basketball network for Brown's injury, he does say the injury can be conceived as a symptom of the culture. Engineer Isaac Constans adds on. 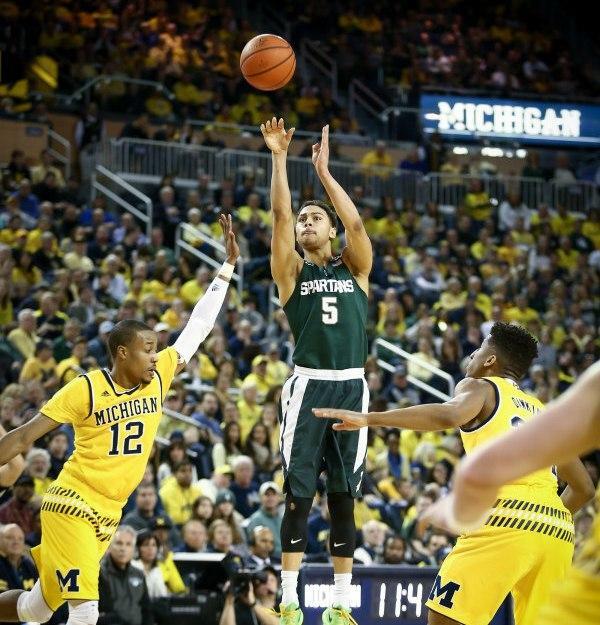 After a caller brings up the summer league streak of Bryn Forbes, Al and Isaac examine his chances, as the former MSU transfer tries to stay on as a member of the San Antonio Spurs. Lending his knowledge live from the NBA Summer League in Las Vegas, DeShaun Tate of CBS Sports radio in Atlanta tells all that he's seen from Forbes and more. Deshaun fine-picks his favorite players so far and describes the atmosphere. To close the show, 'Weekend Winners' slows a fast-paced Monday afternoon to a stop.